History: 25 year old female presents with amenorrhea and pelvic pain for 8 weeks. 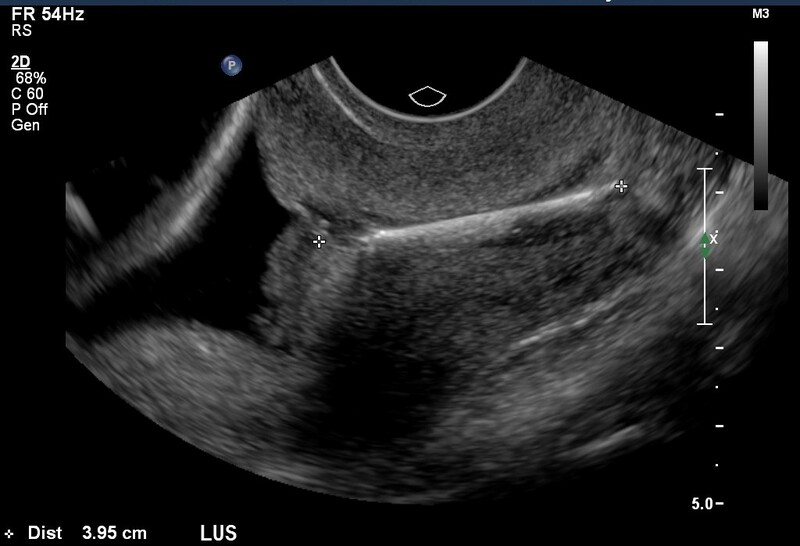 Sagittal ultrasound image through lower uterine segment reveals a malpositioned intrauterine device within the endocervix. This patient was found to also have an intrauterine pregnancy at 19 weeks gestational age. Notice the fetal head on the left side of the image.